This beautiful island is what you see on postcards. 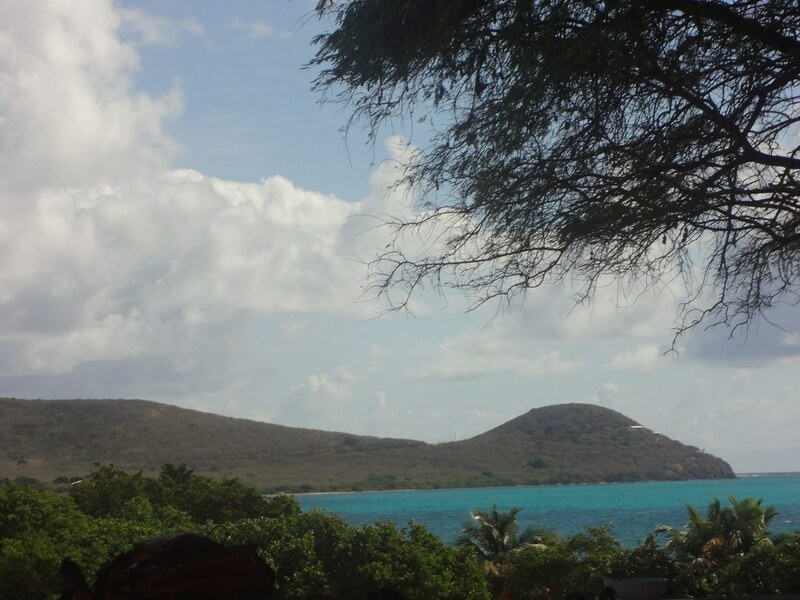 The island of St. Croix in the U.S. Virgin Islands is a bit like a scene out of M*A*S*H. The low brown underbrush on the hillsides with its sparse patches of green shrubs makes you feel like your right in Korea with the 4077th. The whole island isn't like this, but the part of the Manhattan-sized island I was on was. The island itself is beautiful, rich in history (something very important to me) and is populated with amazing people. 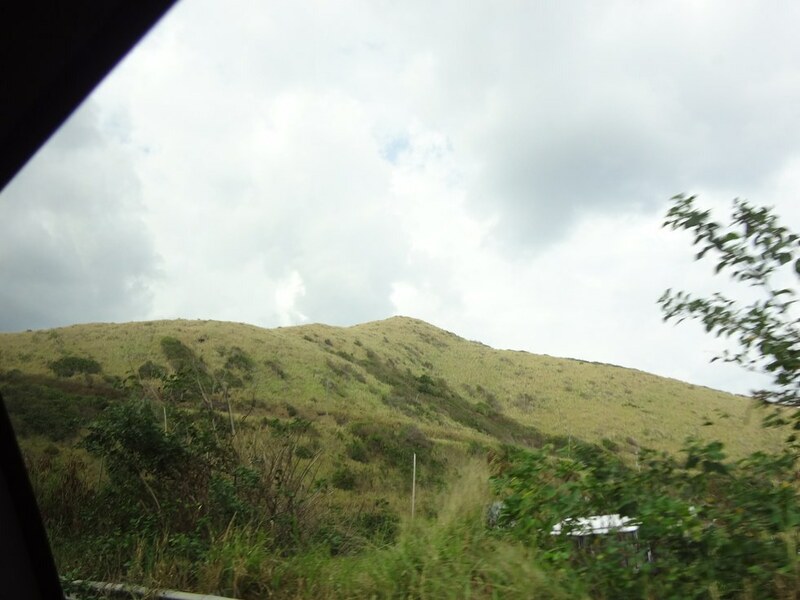 The western side of St. Croix is all hills covered in thick jungle. This is the historical side of the island, with old sugar plantations preserved from the island's time as a Danish colony. Frederiksted, the second largest settlement on the island, is home to a reddish-orange fort called Fort Frederik and was used to keep pirates away. It is also a great place to go snorkeling or scuba diving. You can normally spot any number of both off the boardwalk that lines Frederiksted's edge touching the sea. Many fish swim around the boardwalk's edges and many colorful birds flap through the breeze. The eastern side has the distinct honor of being the most eastern point in the United States. There is even a little monument to this point on a place called Point Udall. It is more flat and desert-like then its western counterpart. It also happens to be the least inhabited part of the island. It was while walking near the dried up bed of an old salt lake that I came across a cactus. The rather large, many armed and spiny desert-dweller didn't even look out of place here. I took a picture of it, tangled all through what was left of a barbed wire fence, and continued on out to the dried up salt lake. The wildlife I saw in this desert made it far from a no man's land. On St. Croix is a place called Christiansted. It is the largest settlement on the island and is also home to a fort. Fort Christiansværn is a yellow Danish fort. The fort was meant to keep pirates away but did little good when the British invaded in 1807. But it was from atop the small fort's ramparts that I saw a bunch of reenactors floating a replica Danish boat into the fort's dock. 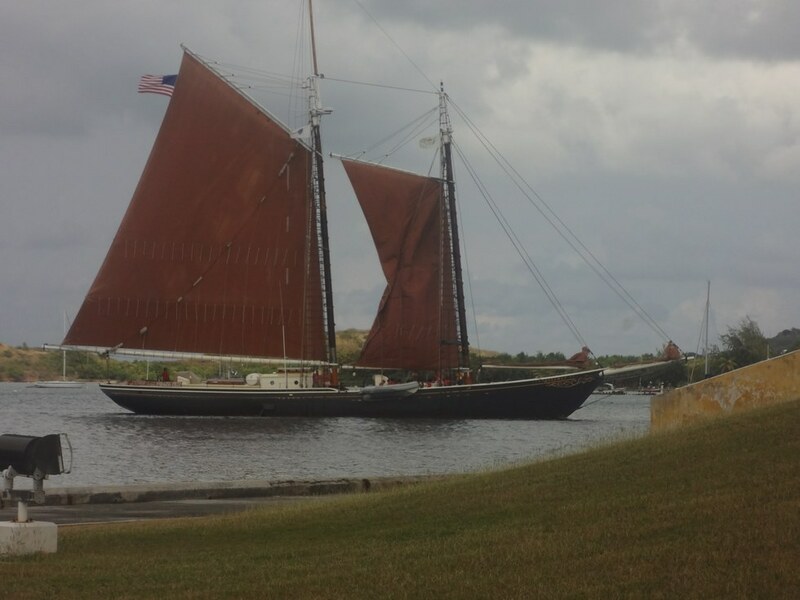 I watched as the little wooden craft careened nimbly over the waves, its reenactor Danish sailors tugging on ropes and jogging up the length of the ship. When I went to the little island in the Caribbean, I left from my home in North Eastern Pennsylvania in February. When I left, it was 10 degrees Fahrenheit. In St. Croix, as our plane landed, the stewardess announced it was a chilly day on the island. 71 degrees Fahrenheit, she chimed. I nearly spit up my in-flight apple juice. If that's chilly, I don't want to know how hot it gets. I was soon to learn how hot it gets. It stays a constant 70-90 degrees there year round. Little spurts of jungle rain pass by, and the ground and everything soaked by these passing showers dries up in a few minutes. During the day, you can swelter to death if you are not accustomed to it. Several members of my group went down on the second day with heat exhaustion. Sunburn and blisters were rampant. But we learned quiet a bit about Crucian culture through their Agriculture Fair. They make ethnic foods, play island music and display the best of what the islands have to offer. All over, it was a great experience. I loved it there and would love to go back. From the little camp where I stayed, the Howard M. Wall camp, I could look down on the ocean. It was a large, blue bay with a jungle covered mountain on the far end. The mountain's vegetation hung right from the slope and into the sea. Now if there was one image of St. Croix I will never forget, it is that one.